Velvet Paw Creations: The Promise - Masculine Valentine's card for Lost Coast Designs/Carmen's Veranda DT! 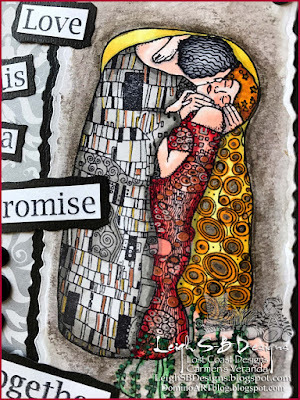 The Promise - Masculine Valentine's card for Lost Coast Designs/Carmen's Veranda DT! Valentine's Day is just around the corner and our February Challenge, #33, over at Lost Coast Portal to Creativity is "Lovers"! Here's my Lost Coast Designs - Carmen's Veranda design team project to inspire you and if you'd like to know more about how I made this card please pop on over to Lost Coaster's Review! Some find making Valentine's Day cards suitable for the guys a challenge so I've stayed away from the traditional lovey dovey in red and white and have been creating more masculine styled cards. 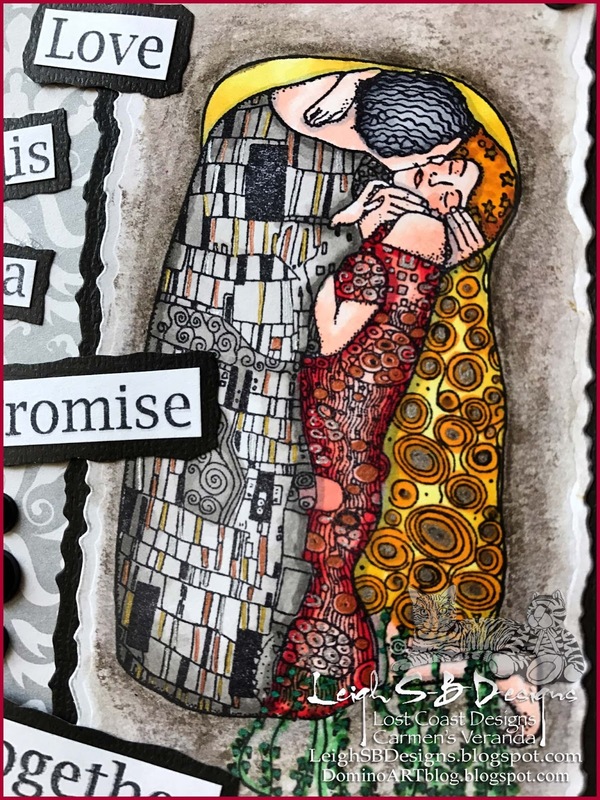 See my V-Day card I shared on Friday that was the perfect combination of masculine and feminine and today I have another using the same set of masculine decorative papers but this time featuring Gustav Klimt's "The Kiss" by Carmen's Veranda.